David Kagan is a leading specialist in Residential Lifestyle Estates and Sports Administration. He specialises in Property Law (including Rezoning and Subdivision of Land, Conveyancing of Residential, Commercial and Industrial Properties, Sectional Title Schemes) as well as all matters relating to Sports Administration (including Preparation of Sporting Bodies Constitution and Bye-Laws). 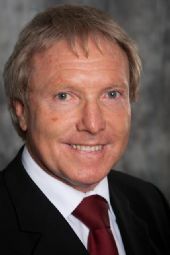 David is currently the President of Hamilton-Sea Point Rugby Football Club and an active member of the Western Province Rugby Football Union Executive Committee. In 1975, he was admitted as an Attorney Advocate in Lesotho thus giving him right of appearance in the High Court of Lesotho.